Swallow is a bit of a puzzle. She is definitely an Axe One Design although most of her history is missing. 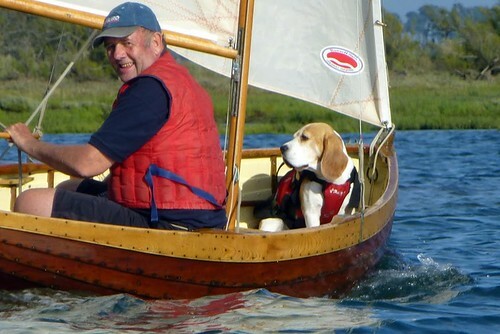 Nigel Daniel, Owner of No.1 Whimbrel found her in 2004 as a floating wreck in Torquay harbour, upon enquiries her owner was found and she was subsequently purchased. 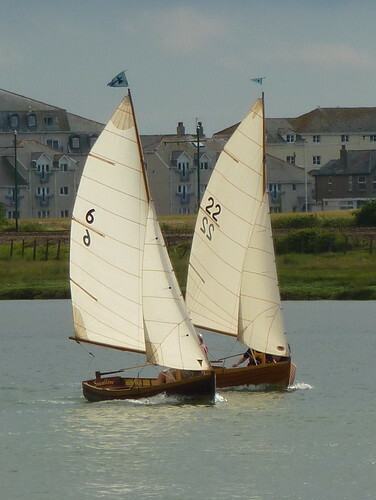 Little was known except she had been sold through Shaldon boat auction in the early seventies and was incorrectly thought to have been built in Devonport Dockyard by apprentices. 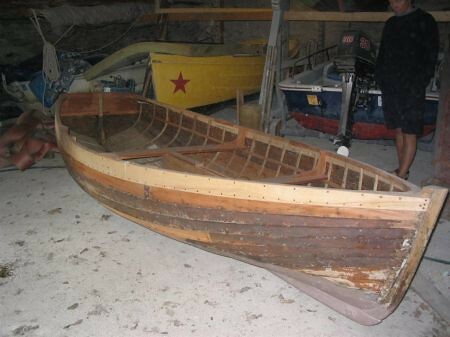 She had been subjected to hard life being used as a fisherman’s punt, re-ribbed twice, the last attempt with oversized soft wood. 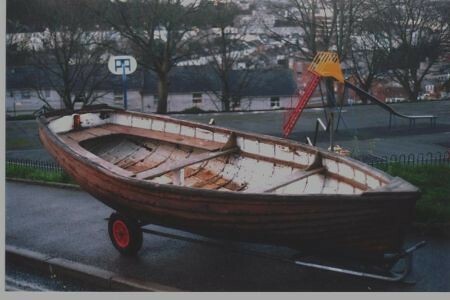 The centreboard case had been removed, the gunwhales had been reinforced with a heavy softwood sections and the thwarts replaced with scaffold planks. Clearly in a precarious state Nigel took her down to Pete William’s at Boddinick to carryout a structural restoration. At this time my wife Tina thought that an AOD project would make a wonderful project for me as well as a fiftieth birthday present. So after Pete had worked his magic I spent the beginning of 2005 sanding and repairing old rivet holes with wooden plugs (c2000) The insides were to weathered to return to varnish but with lots of TLC the rest cleaned up well. 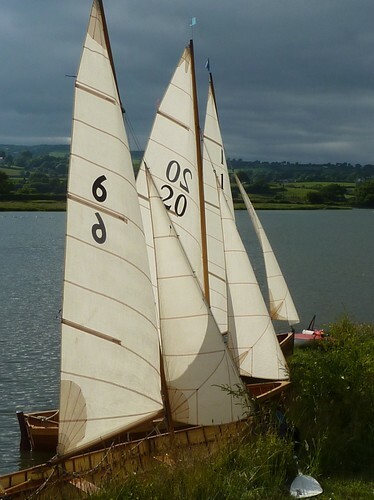 My son Jacob who has a passion for Arthur Ransome books quickly named her Swallow and as we weren’t sure of her background except she was part of the original batch it was decided to give her sail number 6 as at that time she was the sixth Axe of the rejuvenated fleet. 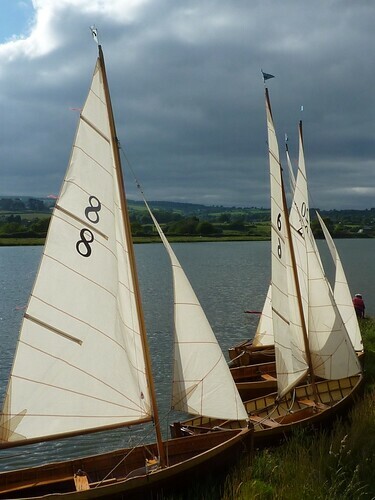 Once restored some of the original Axe sailors gathered round including the Mettam brothers David and Gareth. 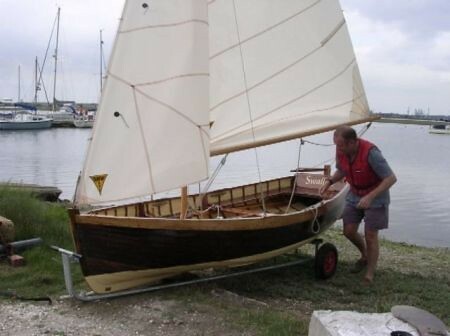 Gareth observed that the mahogany planks were much darker than the other boats and two of the original boats also had this feature, Bernie Webber’s which was wrecked on the beach in a gale and his own, No 16. 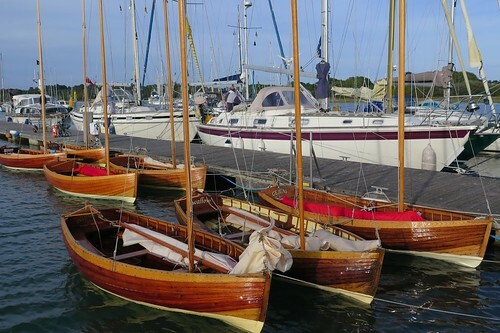 The wood for the planks of both boats had evidently been sourced form an old bank counter in Taunton and always appeared much darker. 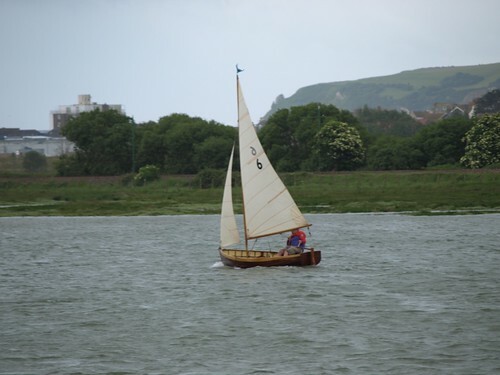 So we think she is probably Gareth’s boat No 16, but as Gareth says he can’t be sure as he didn’t carve his name on her. 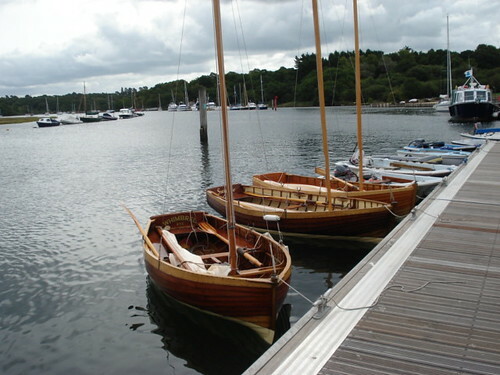 We often sail her near my home at Ashlett Creek and from Marchwood YC on the River Test at the top of Southampton Water. We are perpetual holders of the KeYS Nobbled Knob trophy for lack of effort at the back of the fleet.